Have you found an online vendor selling Appleton Estate 15-Year? This is my fourth try with Appleton Rum, having previously tried and very much disliked Appleton Signature Blend, Appleton VX and Appleton 12 yr old rums. 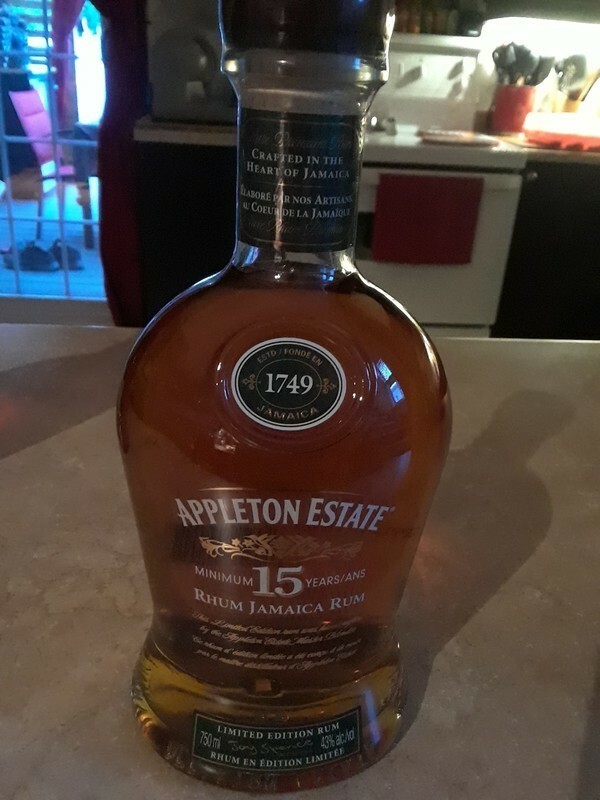 Appleton 15 yr Rum is currently only available in Canada and I decided to give Appleton rum one more shot. Glad I did as I really enjoy this rum which, in my opinion, has a completely different taste than the previous three. This rum is not as “funky” as the other ones and very dry, which is how I like my rum. I had previously rated the previous three Appleton a “3” but this one is certainly much better and deserve a higher rating. While a different rum profile, I consider this Rum in the same quality (for my taste buds) as Santa Teresa 1796, Real McCoy 12 yrs old and FdC18. Classic Jamaican sipper yes, but does it bring much more to the table than the Appleton 12??? Un gout de la Jamaïque, orangé, noisetté et un peu boisée. Un rhum d'une bonne puissance, fort et sec. Un peu cher au Quebec. Difficile de le comparer au 12 ans, j ai bu les 2 mais avec un trop grand intervalle, mais il reste que c'est un des meilleurs de la Jamaïque que j 'ai goûté. I was a bit disappointed when spending $70 Canadian. I did not find it much better than the 12 year. It is a bit dryer but the distinct Appleton flavour was not mellowed by the aging. I was hoping for something that did not smell so strongly of alcohol , even at 43%. The extra time did not help much. Sugar estimated at 5 GPL. This rum has the traditional Appleton profile of oak and spice with some sweetness factor. However, just as Joola69 pointed out it has a strong alcohol aroma and is very dry. It starts out like other Appleton Rums but falls off quickly as it has a long afterburn from the alcohol factor. The "burn" is controlled and balanced but I found the rum is a bit harsh. I didn't like it straight up as it is quite harsh, but it will make an okay but expensive mixer. Overall I would buy the Appleton 12 as has more flavour and is smoother. This rum is great, very smooth and delicious. It didn’t last long at my place as it became my favourite of what I had in the rum cabinet. Sadly it was the last bottle at the liquor store that I bought it from. Highly recommend you try it if you can. I had a few drinks of Appleton Estates 15y while vacationing in Oaxaca Mexico. Pretty decent bottle and label design but nothing unique from all other numerous Appleton Estates bottles. Surprisingly strong alcohol to the nose and palate for a 15y old rum. I guess this is made for the dry rum crowd. 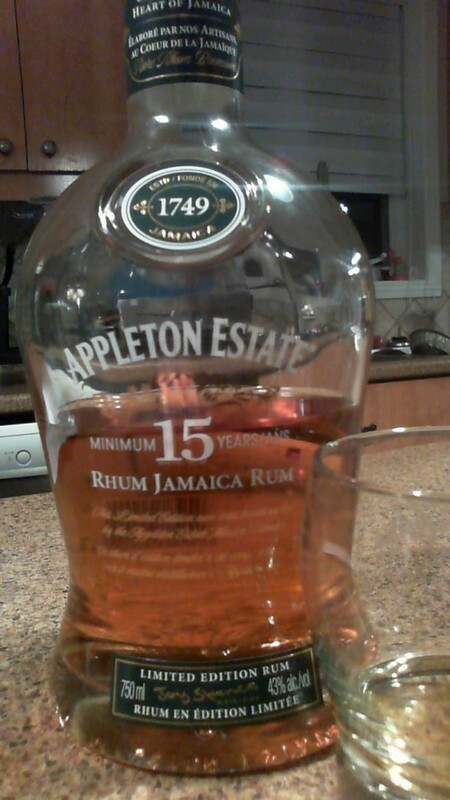 Purchased a bottle of Appleton Estate 15 yr. Rum. Nose of sweetness such as caramel and vanilla. It's definitely a sweet full bodied rum. Upon tasting, I tasted hints of vanilla among other sweet flavors. Loved it. Too bad it's only available for a limited time.